Today I'm going to talk about Dance Dance Revolution (more commonly referred to as DDR). This home version is based off of the popular arcade game (pictured to the left) and is a fun way to not only play a game, but to also exercise at the same time. It was my choice of exercise on days when it was too hot to go outside or raining (it was also great in the winter time to help keep up my endurance). 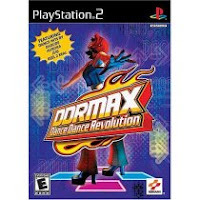 DDR is played on either a Playstation or Xbox console and is a very simple game, yet a really great workout (you can burn a lot of calories, and if you play in workout mode, it will calculate your calories burned for you based on your weight). 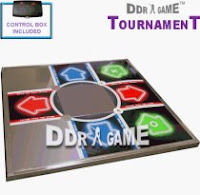 Bottom line, DDR is a lot of fun! If you're bored with the exercise that you're currently doing, looking for a way to burn a lot of calories while having fun, and you can afford it, this is something you've got to check out! 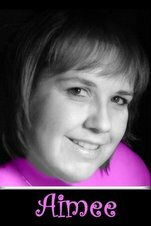 One last thing... check this link I came across to a video I found from a teen that lost over 100 pounds and talks about DDR (if you have kids that sit on the couch playing video games and are over weight, show them this video). 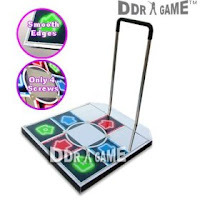 DDR is not just for teens and young kids. Any age can do it. I've had parents email me and tell me that they play this with their teens and have a blast, so give it a try. If you aren't sure if you'll like it or not, before investing the money, go find an arcade that has the game so you can try it (most mall arcades have this game since it's popluar). The arcade game might be a little harder to start off with but it will give you an idea. I've always wanted to try the DDR at the arcade, but I won't do it with people around. I'm too embarrassed. LOL! great post! I've been thinking about this on and off for ages, I might give it a try! thank you so much for the package! I look forward to the music and the food!! !